Actify Neurotherapies is a network of treatment centers that helps treat its patients’ depression and mental health through the unique and innovative way of administering ketamine intravenously. Ketamine has quickly become a popular and preferred method of treatment for patients suffering from depression. The rapid interest in Ketamine directly affected Actify’s organization. Actify needed a powerful technology to help manage its patients from first contact to the last treatment and reduce the burden of manual paperwork. Its existing CRM, Zoho, just wasn’t good enough. Integrations with marketing automation, elimination of manual work, lead routing, and scalability were the main reasons Actify chose Salesforce to replace Zoho. Salesforce also met the requirement for Actify to track a patient from first contact to last treatment using the Lead and Customer objects. 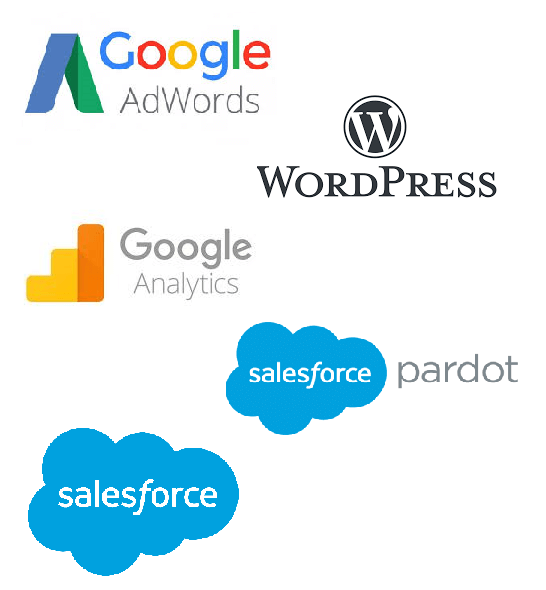 Lastly, integrations with Pardot, Actify’s marketing automation tool, eliminated a lot of these manual processes and the need for duplicate data entry. Actify knew they needed to work with a partner because of the complexity of their Salesforce implementation. “We wanted to work with a consultant local to us so we could meet in person. CopperHill came highly recommended to us by Salesforce reps,” says Kyle Snook, Chief Operations Officer at Actify Neurotherapies. The Salesforce implementation kicked off and moved forward. What was unexpected, however, was how deep the Actify-CopperHill relationship would grow. Actify Neurotherapies was undergoing a brand and name change while the Salesforce project was active. This required a significant amount of work and updates to any marketing efforts, including a new website for Actify. After sharing RFPs with the saturated web development market, Actify received quite the range of responses: from well-known companies offering their services at a premium to individuals willing to do the work for a price so low it had Snook and his team concerned. They needed high quality delivered at a fair price. A candid conversation between the Actify and CopperHill teams lead to a new statement of work: CopperHill would rebuild and redesign Actify’s new website. As a member of the Amazon Web Services (AWS) Partner Network, CopperHill can custom build and host applications using Amazon’s secure, high-performing, and scalable platform for a reasonable cost. Since Actify already vetted CopperHill as a good partner for the Salesforce project, Actify and CopperHill were able to save time and work together to meet an aggressive timeline in delivering Actify’s website. CopperHill’s familiarity with Actify’s goals and technology eliminated any confusion or difficulty with website, marketing automation, and CRM integrations. Actify’s online ad schemes are monitored in Google AdWords and Analytics. Website and Pardot integrations provide unknown visitor tracking until a visitor completes the form, and then becomes a prospect in Actify’s Pardot instance. Scoring and nurture campaigns follow the prospect to become a lead in Actify’s Salesforce through the Pardot and Salesforce integration. A robust website that represented the new Actify brand and integrated with its marketing tools was the final piece of a true end-to-end solution for Actify’s lead routing process. The implementation of Salesforce, automations, and integrations captures better, more accurate data. It also saves time and eliminates manual processes for Actify and its partners. This solution is propelling Actify to work much more efficiently. The automations and process changes in place have increased the team’s average close rate from 9% to 22%. Snook was happy to work with a smaller company like CopperHill. It gave him direct access to experienced, qualified CopperHill consultants who participated in the discovery meetings and understood Actify’s goals and objectives, not a “B- team” that steps in after a contract is signed and work is redistributed. The Actify team also appreciated having a dedicated partner to help define rules-based lead routing: what should qualify certain leads into certain categories, what advances them to the next one, how to use reports and dashboards to track that and use it efficiently. “This time last year, I wouldn’t have been able to articulate this. CopperHill did a great job educating us,” says Snook. John McCloskey, CEO and Co-Founder of CopperHill Consulting, describes Actify Neurotherapies as a picture-perfect client. “Actify came to us with clear goals and objectives, and they kept their focus on those goals and objectives throughout this entire project. They understand the value of investing in technology and the impact it could have on their business. Kyle and his team are eager to learn and open to new ways of improving the efficiency of their operations,” says McCloskey. Please contact us if you have any questions related to our web design, integration, or Salesforce capabilities. For more information on Actify Neurotherapies, please visit https://www.actifyneuro.com/.